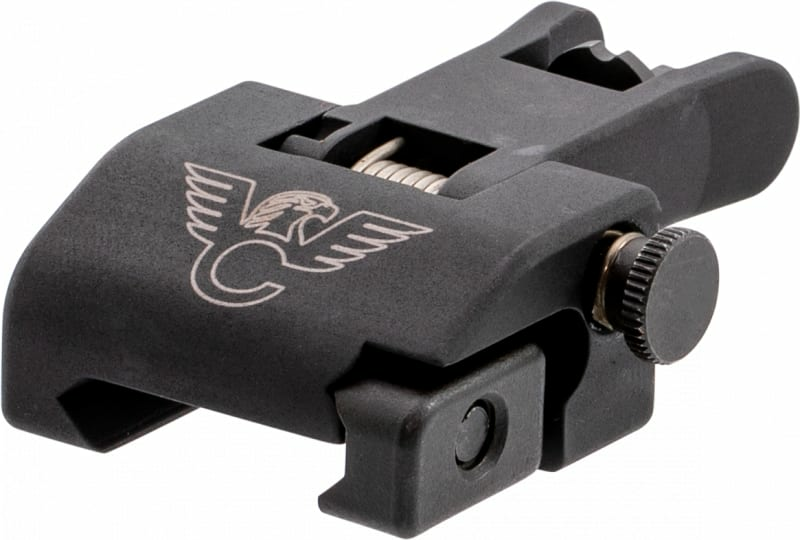 Wilson Combat TRQDSF: Wilson Combat QDS Flip Up Sight System features a spring loaded deployment system that automatically flips the sight up at the push of a button. 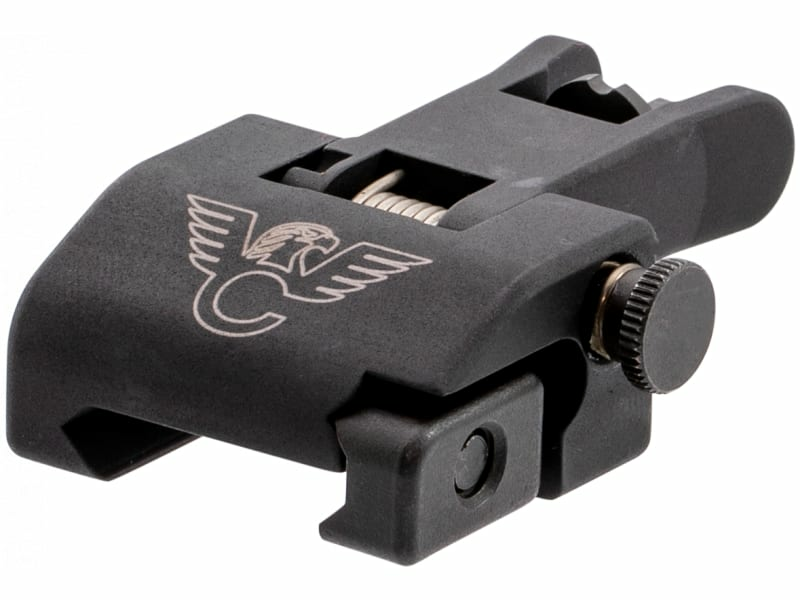 Front and rear sights lock positively in the folded and deployed positions and are precision machined from high strength but lightweight aircraft aluminum and hard anodized to military specifications. Easy, 1-minute installation on any AR with a railed handguard. Small and Large aperture are on the same plane for simple sight adjustment in the field.